What Are Social Signals And Why Do You Need Them? Every day, millions of people around the world wake up and begin their morning routine. While getting ready for their day, they will pick up their smartphones and tablets and get caught up on everything they missed on social media while they were sleeping. Some even pick up their smartphones before they even get out of bed in the morning! I have to admit I’m guilty of this myself. It’s almost as if there is a fear of missing something. You just have to check out what is going on in the social media world. Throughout the day, we all have the habit of checking our social media sites every so often. We may check in at that trendy new restaurant during lunch time or read an article about our favorite celebrity, but the majority of us spend a great deal of time on social media every day. A few years ago, this is where the social media marketing conversation would end. Social media was just that, a social tool. However, this is no longer the case. Not only are social media users interacting with their friends and favorite celebrities, but they are now also interacting with the businesses and products they choose to spend their money with. The number of people who rely on social media for this purpose continues to rise year after year. For this reason, businesses of all shapes and sizes should learn more about how social signals can affect their business and how to utilize them to their advantage. Exactly What Are Social Signals? Simply speaking, social signals occur anytime a person mentions, likes or comments on something that is connected to you, your business or one of your products. The real question to ask is why these items are so important. In a way, a social signal works somewhat like a personal endorsement for something that a person has read or purchased. These social signals help to solidify that the item that they are sharing is worth the time to pay attention to. Naturally, the more social signals that a business or blog post has, the more likely a person is to read what the business has to say. One important thing to note is that it isn’t only other readers that take notice of social signals. In fact, this is one of the main ways that Google and other search engines determine what to place first when they are arranging their search engine results. Building these social signals will help your business or blog post rise to the top of their algorithm and have the potential for even more eyes to be caught by the content. Ask for the like or the share. Friends and family are a great start, but don’t be afraid to ask customers as well. Most businesses post a sign or have a note on their websites asking readers to engage with them on social media. Create sharable links. The most important thing that you can do is to create things that beg to be shared. Boring posts aren’t going to cut it when it comes to creating social signals. Have a contest. 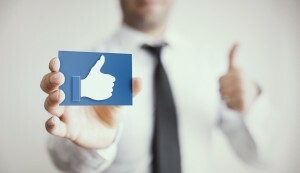 Need more likes on your page or a particular post? Set up some sort of contest where only those who like or share your content can enter. This will motivate readers to share it. Give them a reason. Some customers need an incentive to like or share something. One great idea is to offer them a coupon when they share something that you have posted. These are great ideas, but they still don’t answer one important question. How do you get your content, company or website in front of those on social media in the first place? What exactly can you do to build your online presence? The first thing that you need to be certain of is that those who have the potential to be interested in what you are offering are able to find you. This means that you need to go to them. If your target market hangs out on Twitter, you need to become a Twitter guru. Spend some time learning how the site works and about hashtags. Likewise, if your people enjoy another platform instead, turn to that one first. The point is to become the voice in your industry on whatever platform that is most popular to those who are interested in your industry. Also, keep in mind that people are visual. They love seeing pictures and quick snippets of information that won’t slow them down. Use this to your advantage and make sure that everything that you are sharing is eye-catching. Images should be high-resolution and be something that reflects your brand properly. Placement and size of pictures is also important. Taking on the world of social media and social signals alone is never an easy task. Instead, you really need a partner to help you with the process. There’s a reason that two heads are better than one, and you can definitely benefit from the help of a professional in this type of situation. This article was syndicated from Business 2 Community: What Are Social Signals And Why Do You Need Them?